Elephant Appreciation Day | Tourmaline . There are so many “holidays” every day – this is my attempt at a daily photo response. 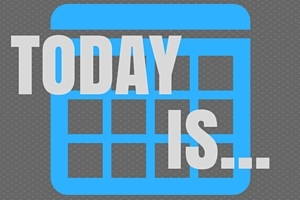 Check out http://www.nationaldaycalendar.com/ and https://www.daysoftheyear.com/ for future post topics. Join in by tagging #todayis or simply leave a link to your contribution below. I’d love to see what you come up with for all these crazy holidays. Contribution links will be shared daily. **Just to heads up, so as to only have one daily challenge/post going at a time Today Is… will take a break the month of October, as my Halloween Challenge will be in full swing (more details below). —In honor of the Autumnal Equinox, make sure to check out my Halloween challenge starting October 1. Elephant is my favorite animal. That little one is too cute!